Apparently the owl craze hasn't reached its end in Winnipeg. I must have been asked a zillion times at Scattered Seeds if I had anything made with owl fabric. So I guess I'll jump on the bandwagon just this once and share an owl plush tutorial with you all today. 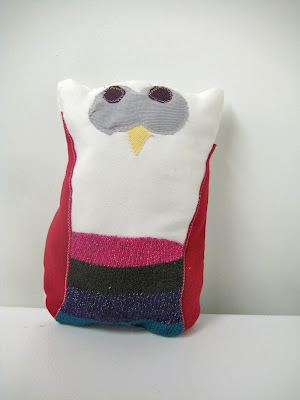 She is my latest owl invention and she's going to help you learn how to make your very own upcycled owl plush today. 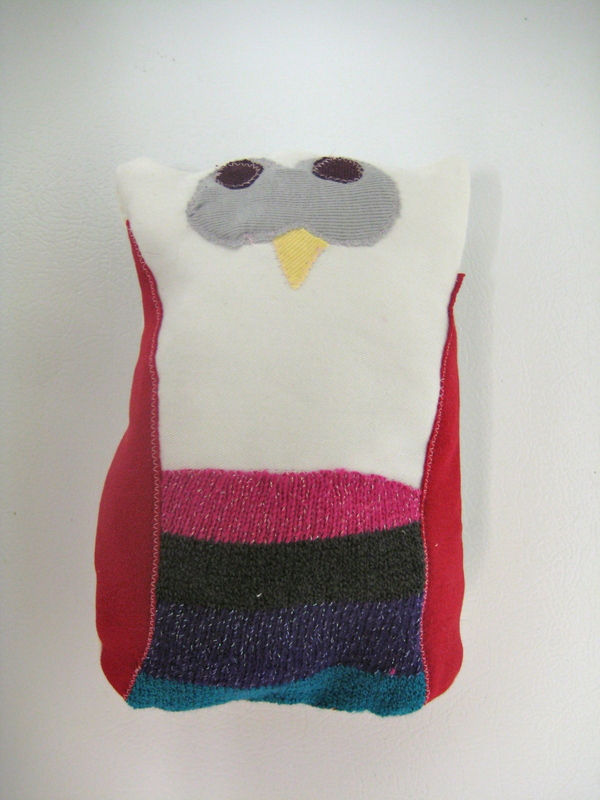 If you sew this owl by machine it takes about half an hour. Gather up all your knits and your pattern. Cut 2 owl bodies (on fold). 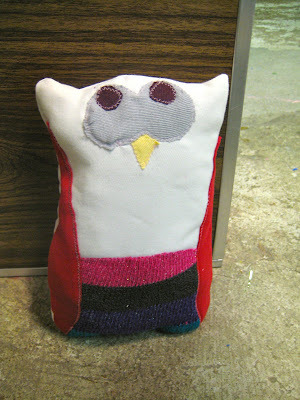 Cut two wings, cut one owl belly (on fold), cut one eyes piece and two eyeballs. Cut one beak. 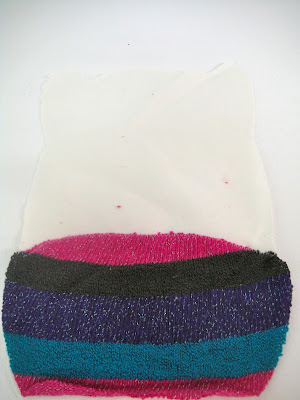 Experiment with various materials to get the colours and combinations you like. Sew the belly piece onto one of the body pieces along the top of the belly. 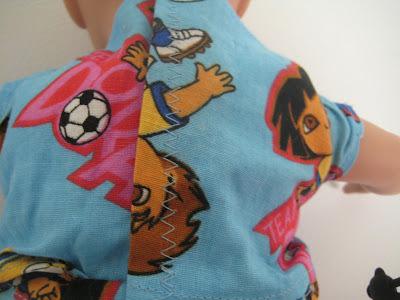 You can either machine zig zag it across, or hand stitch with embroidery floss for a more patchwork look. 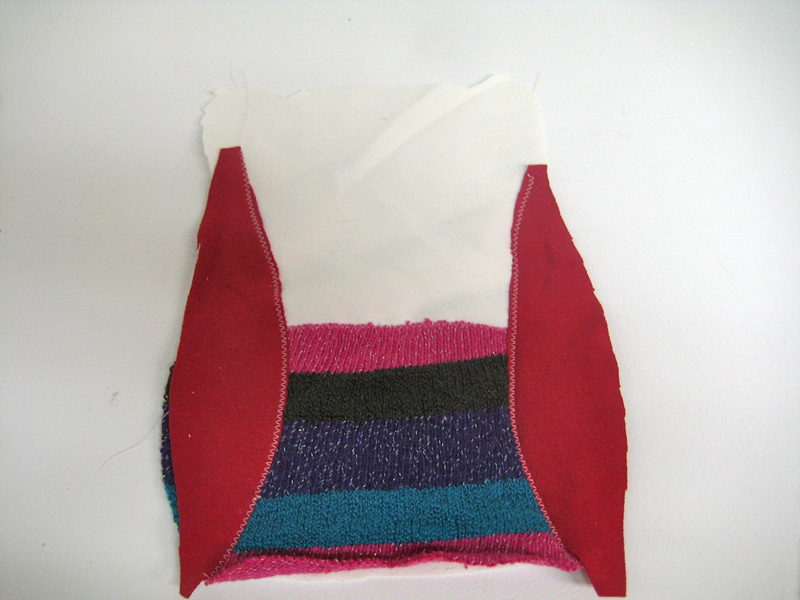 Sew wings onto the same body piece as the belly along the inner edge of the wings. Again either zig zag by machine or hand stitch. 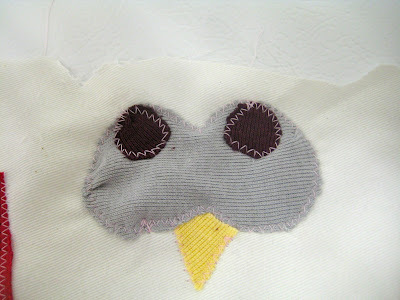 Sew eyes piece and beak onto the middle of the owl face. 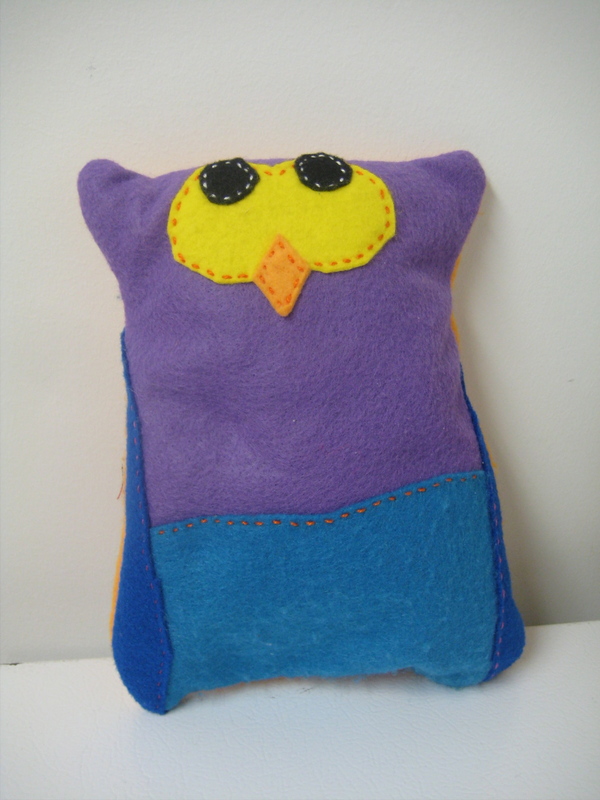 Place eyes pieces and beak where desired and either zig zag or hand stitch in place. Sew eye balls into place. I experimented a little with the placement of the eyeballs to give the owl a little character. Try pointing them upwards, or cross eyed. With right sides together sew the back body piece to the front body pieces, making sure to leave a couple of inches hole at the bottom for turning and stuffing. 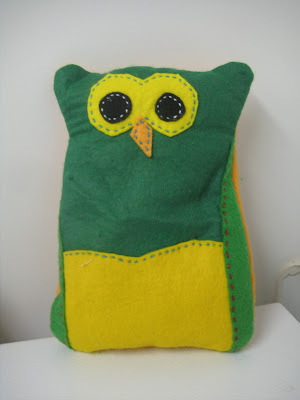 Clip curves, turn the owl right side out and stuff with either fibre fill or scraps of fabric. Stitch the hole closed. When you're done, try out another combination of upcycled fabrics. Or try them in felt! Little Lane was on her way to pre-school the other day when her teacher came up to her in the school yard and showed her a brand new princess dress for the school play clothes rack. Lane's face lit up when she saw it. It was a beautiful red with a big flower on it. So pretty! There are 7 little girls in Lane's preschool class and one boy - so you can imagine that new princess dresses are much in demand. Teacher had found one at the local thrift store and knew that it would have a good home. Good thing teacher knows a mom who can sew! 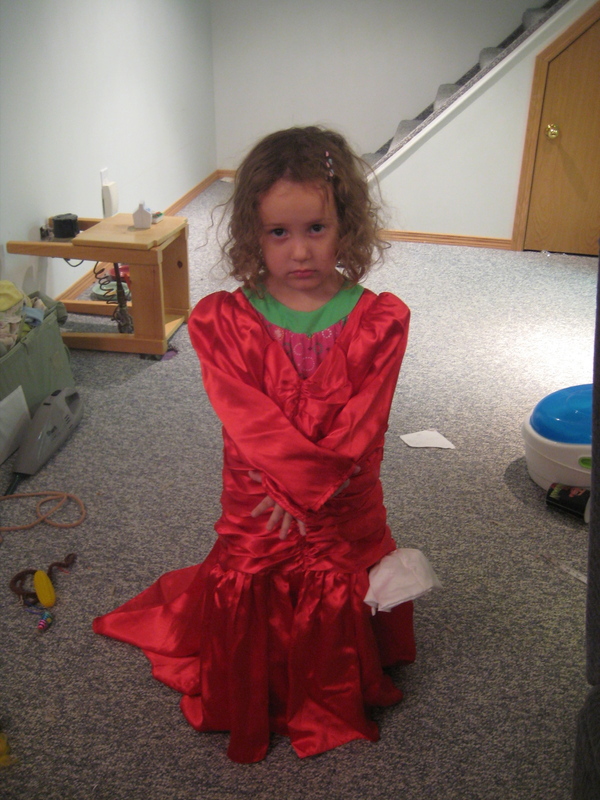 She sent me home with the dress to give it some major alterations. The little girls all expressed their love for the bottom of the dress which flows out like a princess dress should. So I couldn't just hack it off and hem it. So I removed the skirt and flower and shortened the middle without wrecking the zipper in the back or the lovely gathering on the front, back and sides. Then I put darts in - two in the front and 2 in the back to make sure that the shoulders wouldn't slip off during play. I reattached the flower and then gave the bottom a 2 inch hem. It still flows out behind the princess, but is much more wearable for the energetic 3 or 4 year old. 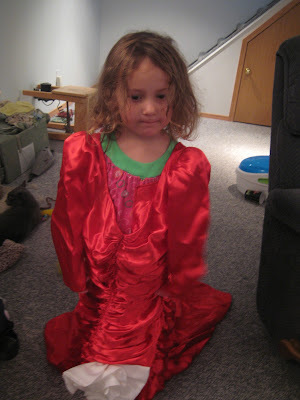 I took the picture before I hemmed it, but after taking a billion pictures of Lane in her mermaid costume (you'll see those on Halloween) she didn't want to pose for any more in another satiny creation. It sure feels nice to use my sewing skills to help out at Lane's pre-school. 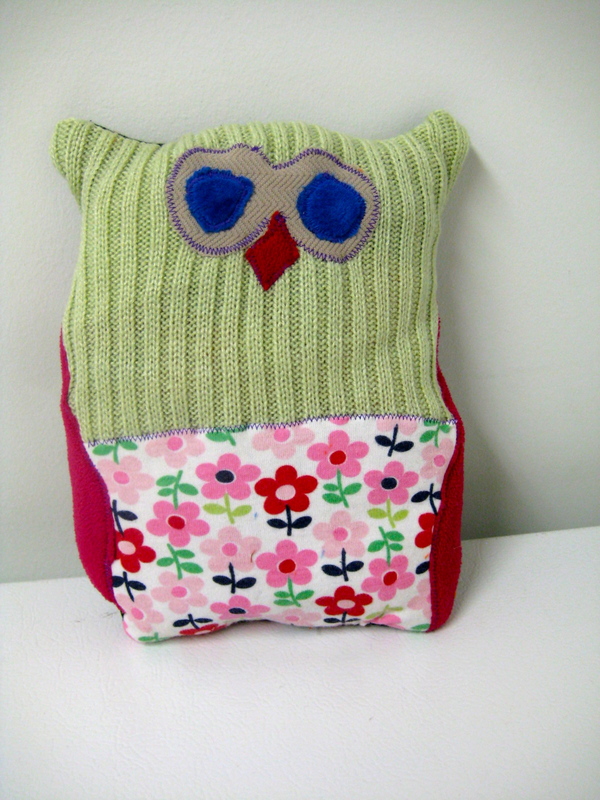 I often forget that not everyone can sew and that my skills are much in demand. The whole family loves chimis. Chimichangas if you will. Logan even asked for these as his birthday dinner one year. But I'm going to post anyhow. The photos don't do the recipe justice. I actually took these ones of leftovers because I had forgotten the day before to take a photo of them out of the oven. - pre-heat over to 350 degrees F (180 C). Did I mention that these were baked instead of fried? Awesome! - Brown the ground beef in a skillet over medium-high heat. Drain excess grease, add the onion, bell pepper, and corn. Cook for about 5 more minutes until veggies are tender. Add the package of taco sauce and the water it says on the package to add with it. Season with chili powder, garlic salt and stir until blended. Cook until heated through and the taco sauce thickens. Add the can of refried beans and thoroughly mix. Remove from heat. - Spoon the beef mixture down the centres of the tortillas and top with as much shredded cheese as you like. Roll up the tortillas and place them seam down onto a baking sheet. Brush the tortillas with the melted butter. - Bake for 30 or 35 minutes or until golden brown. Serve with salsa, sour cream, lettuce and tomato. (or if you're really on a roll, make the fresh salsa recipe that I posted a few weeks back and serve). I know it's Wednesday Weigh In today. But I've been a very bad girl. I haven't done my work out for weeks. I've been going to my weekly aerobics class on Monday evenings, but other than that, I haven't done a thing. Too busy doing prep sewing for a big craft show this past weekend. At least I haven't gained any weight since stopping the work out schedule. I haven't lost any either. Boourns. I've been working on that owl tutorial I promised you yesterday. I thought I'd give it a try with different materials. You saw Ginger and Sugarpants yesterday made out of felt. Now meet Gianna. 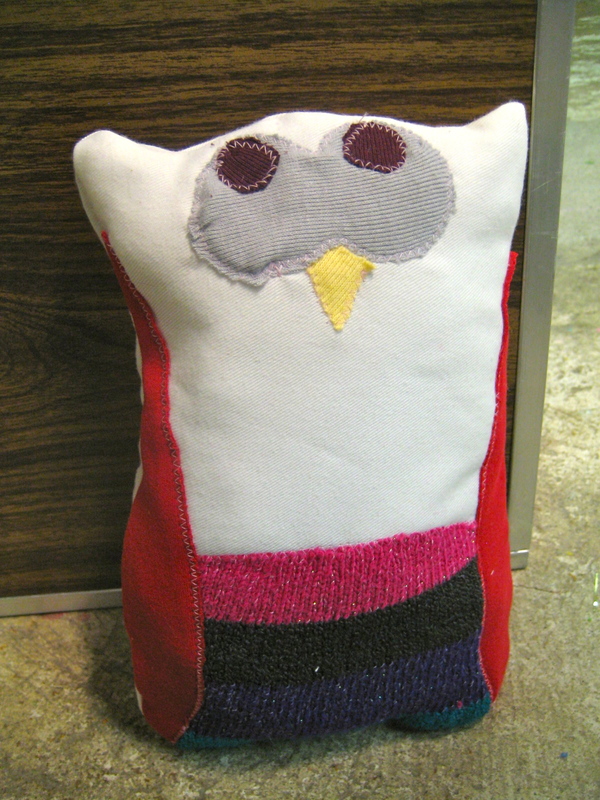 She's made out of some of my "to upcycle" knits that I've been stockpiling for a cute project such as this. Awww... I think she turned out super special because I remember wearing that green sweater and Lane used to wear that pink flowered dress. Just tweaking the pattern a little bit and I'll post it up for you on Tuesday next week. So yeah... have you missed me? I haven't posted for nearly 2 weeks! Ooops. I was accepted into the Scattered Seeds Christmas Craft Show and Sale just last month. I've only had a few short weeks to sew enough stock to sell at this big show. Check out my website for more details (including my plea for Slurpees). See? I'm even packed up and ready for Terry to come home from work. We'll head down to the exhibition grounds and set up my half of booth 154. And then if I don't pass out from terror and nervousness, I'll be putting in 12 hour shifts on Friday and Saturday and 6 hours on Sunday. As you may have guessed from the lack of posting, my anxiety level is at an all time high. But as you might also know if you're a regular reader, these events cause me ultimate stress before they actually happen so that when I get there, everything is fine. I just need to convince my brain of that fact - before my heart explodes. I'll see you there right? And you'll bring Slurpees? Yes? Please? Is this thing on? Do you like food that can look back at you? Made with white powdered donuts, Lifesavers gummies, M&Ms and strawberry syrup. Unfortunately, we ended up with the only bag of M&Ms in the world that only had 4 brown ones. WTF? So we made 4 real looking eyeballs. And then we gobbled them all up. I might be persuaded to make another batch closer to Halloween though. To follow all the edible delectables that the Iron Crafters have come up with, check out the Flickr Group. I admit - I did not have time to do this challenge. I have been so busy sewing and sewing and sewing for fall shows that are coming up quick, that I haven't been able to focus onmuch else. And I still have to get to Halloween Costume sewing -ACK! It had to be made out of Dora the Explorer fabric. And it had to be blue. It also had to be easy enough for multiple wardrobe changes. Remember, a three year old needs to be able to pull it on and off in a hurry when baby doll is fussy and wiggly heehe. So it closes with Velcro and the skirt is simple elastic. Not exactly high fashion, but it'll do. I think she loves it. Even though I was busy doing prep for shows, who can say no to that face? I just had to quickly design and sew something cute for this sweet little mommy. To view all of the Project Project Runway designers, please visit the Flickr Group.